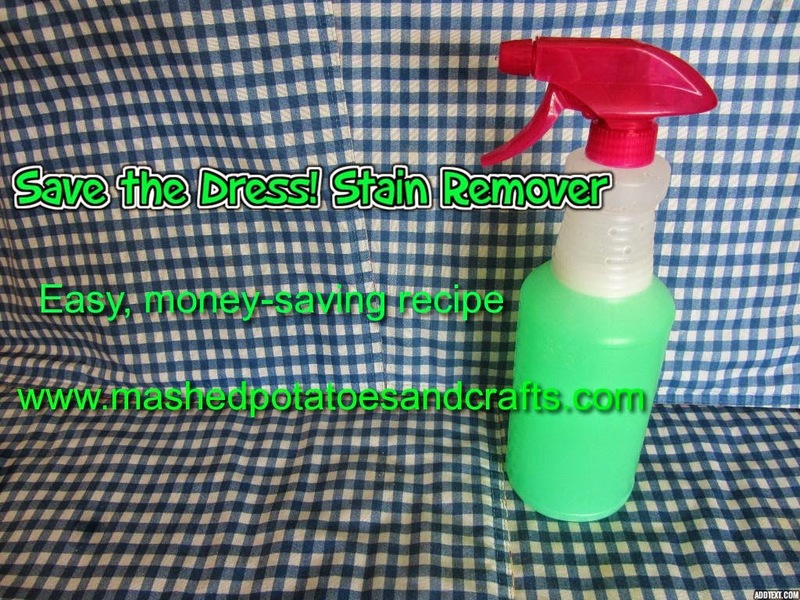 In a crisis with a stain? We know all about that at Pyper's Dream Weddings. Here's a quick fix we keep on hand to treat stains on the spot! Mix all ingredients together. It looks like some kind of weird science project with that green, doesn't it? Spray on stains and let sit for one minute, then launder as usual.